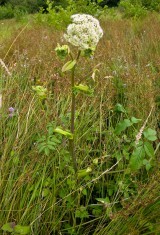 Wild Angelica is a tall, hansom planet. The umbels of tiny white flowers, often tinged with pink, are carried upright on tall (up to 2.5m) downy or hairless stems from June to September, giving a frothy appearance from a distance. The much divided, slightly glossy pinnate leaves add to the open, airy appearance. The flat, oval fruit have thin papery wings to aid their wind-borne dispersal. This short lived perennial is found in a wide variety of habitats on base rich often fertile soils including damp woodland, tall herb fens, damp rough grassland, sea cliffs and mountain ledges. 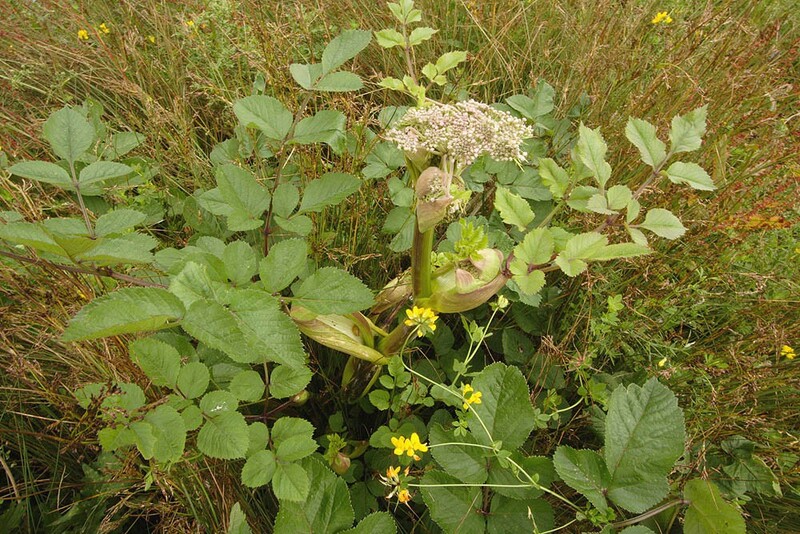 Wild angelica is a robust plant that can hold its own in quite coarse vegetation, however as seed is its only means of regeneration periodic disturbance is required to allow the next generation of seedlings to become established. As seed requires vernalisation (a period of chilling) to break dormancy, sowing should take place in late summer or autumn and germination should follow in the spring. 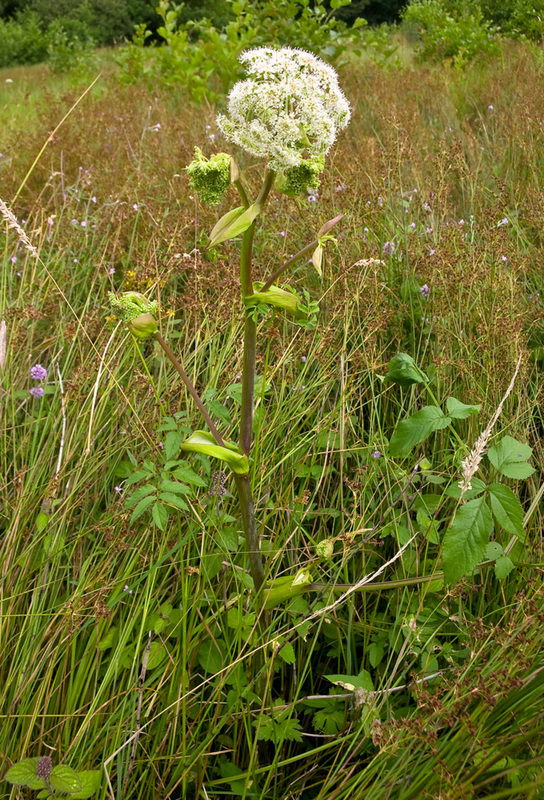 Wild angelica is found in our EP1 pond edge mix but could also be used with EH1, EW1 or EM10 if sown on moist ground that is not too shaded.